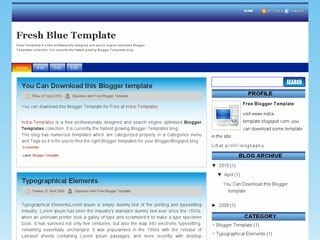 Fresh Blue Template for Blogger is a two column blogger template with sidebar to its right and post section to left.Template has been designed on very high quality images and is for users who like using Fresh Blue templates.The design is very neat and clean. Do you like this template? If you do, you can get it for free. You just have to go to the site author. Click here! SuperBike is a free blogger template custom design with 1 Left Sidebar, 1 Right Sidebar, 3 Column, Black, Blogger, Fixed, Left and Right, Red, Simple, Sport, and you can download SuperBike blogspot template for free only in ZoomTemplate. Do you like this template? If you do, you can get it for free. You just have to go to the author’s website. Click here! 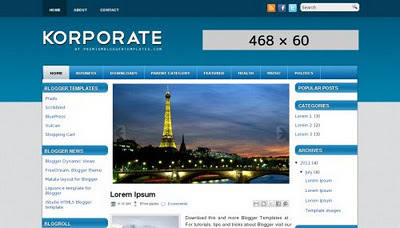 And you can find many free blogger templates just for you. Feel free to download and use them. This template is called SuperBike - Feel free to download and use them. 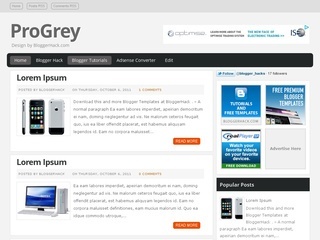 ProGrey is a free blogger template custom design with 1 Right Sidebar, 2 Column, Ads Ready, Blogger, Custom Navbar, Elegant, Fixed, Gray, White, and you can download ProGrey blogspot template for free only in Blogger template. 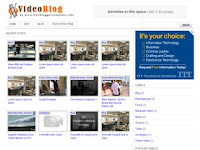 Video Blogger Template premium free, no posting rules, are free to use this template for blogging, or image / video gallery. Only post as usual, add pictures, add videos, writing articles, everything you want to post. Include with headings and summaries related to the thumbnail in the sidebar.